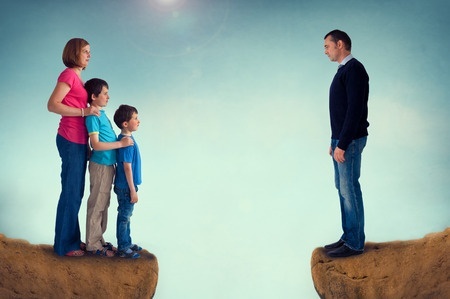 Divorce and Separation – what’s the best way forward? Guardianship – What happens if I can no longer look after my own affairs? We’re delighted to announce that Gosia Chylinska has been appointed an Associate of the firm. Having joined us at the beginning of the year as an Assistant Solicitor, it quickly became clear that Gosia had much to contribute to the firm. As you might have guessed, Gosia doesn’t come from Wishaw! Gosia is Polish and arrived in Scotland in 2008 having studied law at the University of Bialystock where she gained a Masters Degree in Law. When Gosia arrived in Scotland she worked in a legal firm in Coatbridge whilst attending Glasgow Caledonian University where she studied for her LLB Degree. After gaining her LLB Degree, Gosia went on to study in the Diploma in Professional Legal Practice at the University of Glasgow. Whilst studying for the Diploma, Gosia worked full-time with the law firm in Coatbridge and gained an insight as well as a huge amount of experience in a wide range of legal subjects – from simple criminal and civil cases, property law right through to some international elements of a child abduction case in another jurisdiction outside the UK. When asked why she’d decided to come to Scotland, Gosia said “. When I was making my decision about where I wanted to live in 2008, I was considering Australia, New Zealand and Scotland. I have a friend who had settled in Aberdeen and she told me that Scottish people were warm, friendly and family orientated I chose Scotland. My friend was absolutely right about the people but what she failed to tell me was that it rains so much! Scotland’s my home now and it’s also close enough to Poland to allow me to travel there to visit family”. Going forward, Gosia’s aim is to become a Partner in the firm and help the firm, her colleagues and the firm’s clients prosper. She’s also keen to help others and give something back. “Having had the opportunity to work in what was a “foreign” jurisdiction when I came to Scotland”, says Gosia, “I’d love to be able to help others who find themselves in a similar position. Giving something back is important to me”. We’re sure all our clients would like to wish Gosia all the very best for the future in her career with Pomphreys.